WE'RE BACK!!! And we're SO excited to be partnering with Ginger and Baker to host this event!! This is our only event in 2017, so come kick off the holiday season, celebrate your year with us and hear the BIG NEWS(!!) about the full relaunch of Women& Inc in 2018! Join us for an evening of connection with other entrepreneurial women over a 3 taster flight of bubbles. 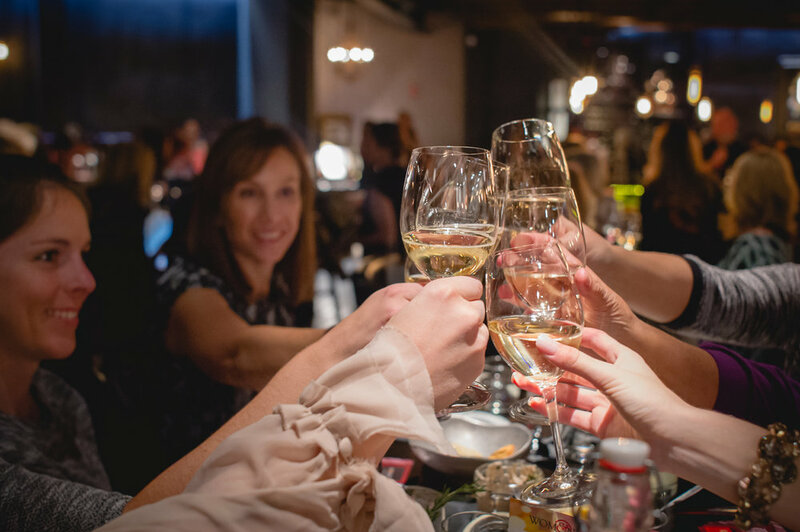 Ticket price includes admission to the private women's connection event, 3 hand-selected pours of bubbles, guided tasting by Ginger and Baker's manager Samantha, and a selection of appetizers. You will also receive a gift bag provided by our sponsors worth over $100 and some other very special surprises! Once accepted as a sponsor, we'll email you the link to sign up and pay for your sponsorship as well as instructions regarding event logistics, your personal link to register with your VIP passes, and a list of things we need from you before the event. Thank you for your interest in sponsoring Women& Bubbles! We'll be back in touch shortly!